Some of the adult tubers have moved ahead so well in the recent warm spell that they are now in 7" pots. 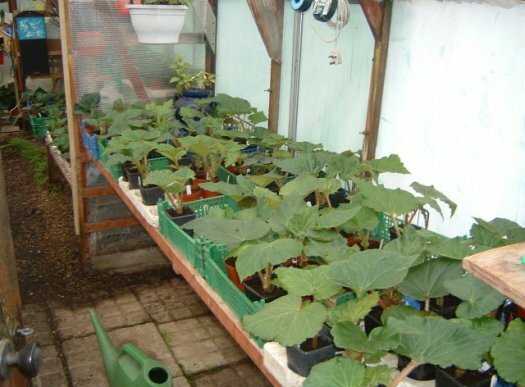 Due to lack of space these are now in the shade house. I find that once into May they are quite happy with the cool conditions. If a frost is forecast I just throw some fleece over the top. The cutting tubers are now growing strongly and need to be spaced out to stop them becoming leggy. This seems to be task that needs doing weekly in the warmer weather. 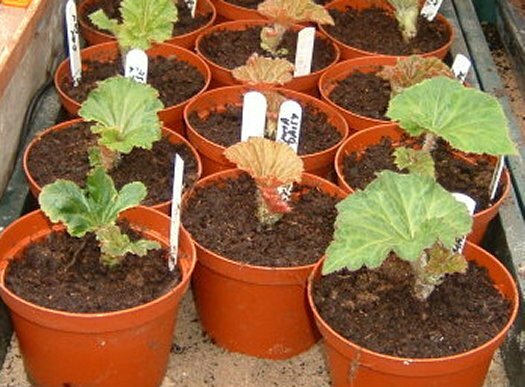 They will be potted into 5" or 6" pots over the next week or two, depending on the root development. Note that I have now started to damp down the floor. This is also the time to start the spraying programme against Mildew, which I do every two weeks now until the buds are taken. Cuttings are now being taken using the spare shoots from the tubers. I simply twist these off (I never use a knife as I believe that the tuber heals better when twisted off) and put them into a small pot of Multipurpose. They are given a little water to settle the compost and placed on the heated sand. No rooting powder is used as I believe this burns the bottom of the cutting. I try not to water them again until they are rooted which is usually in about 3 weeks. This is the last in the series with a whole year of growing now having been recorded. I will however continue to do further articles when I think there is something interesting to report. If you have any questions or problems please feel free to contact me. The seedlings have made quite remarkable progress since the last update. They are now in 15 segment trays and about 3 to 4 inches tall. They are now growing in a night minimum of 7 F and are quite happy as you can see. They have been potted on again in Westland Multi-purpose (green bag). 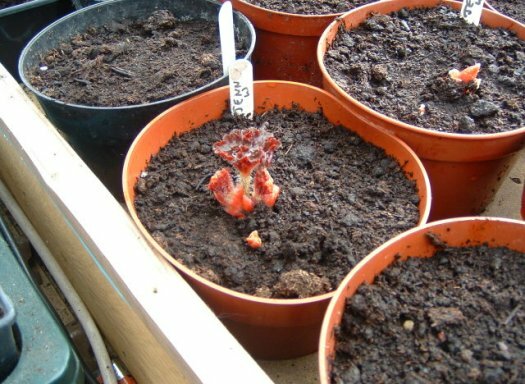 The hanging basket tubers have also moved ahead and the picture shows "Red Cascade" planted up. The tubers are so large that I only plant one to a 14 inch basket. 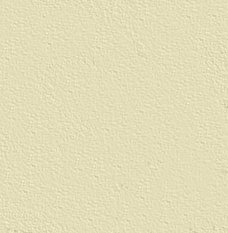 They are also in Westland Multi-Purpose because they are too heavy if I use JI no2. 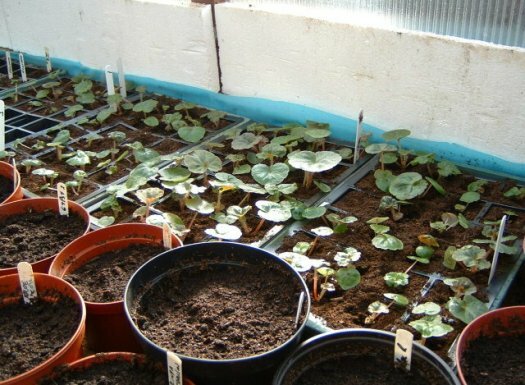 Most of the cutting tubers are now planted up in their first pots in the same compost. They are planted up by root development and not top growth size. 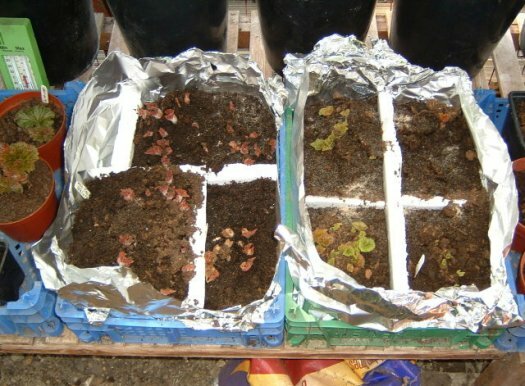 I like to move them on when the roots reach the bottom of the 24 cell starting trays. The adult tubers are now just starting to move ahead after what seemed a slow start. You will see that I have placed yellow sticky traps all over the place. This because I have been suffering badly from Sciriad flies this year and I find this the best way to catch them. I'm not sure they do much harm but they certainly irritate. The tubers in the background are last years "not good enough" seedlings and these I sell for garden use and they are therefore started in early April. The tubers started about two weeks ago are just showing through the compost. They are still on the sand benches heated to 65ºF and it is critical at this stage not to let the compost in the bottom of the pot or trays dry out. 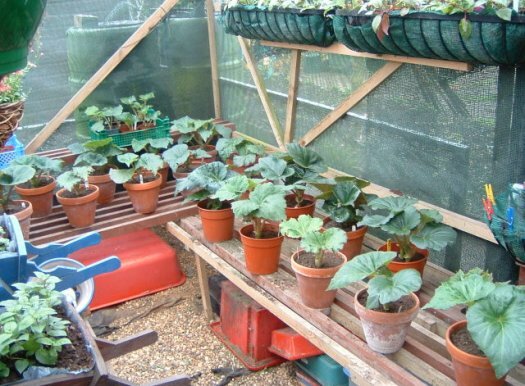 The sand on the bench should be kept really moist which helps, but it is worth checking on one or two pots by carefully tipping them out onto your hand to check. In trays a little digging with the finger will reassure you. If they look at all dry soak them in a shallow tray of water for a few minutes. Some of the hanging basket tubers are now so large I have to improvise starting them because I don't have any pots large enough. I find that if you line a tomato tray with foil and make dividers from scrap polystyrene they are quite happy. These have now been taken off the heat and will go into the baskets in Westland Multipurpose in a couple of weeks. 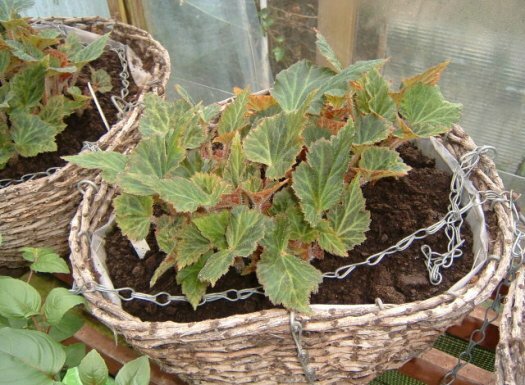 The earliest started cutting tubers are now away and potted on into 4" pots. 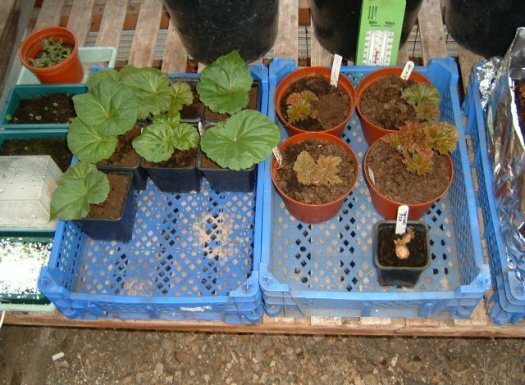 The larger pots are adult tubers started early because I am giving a practical demo at Norfolk and Suffolk Area in mid July and will some plants in flower. 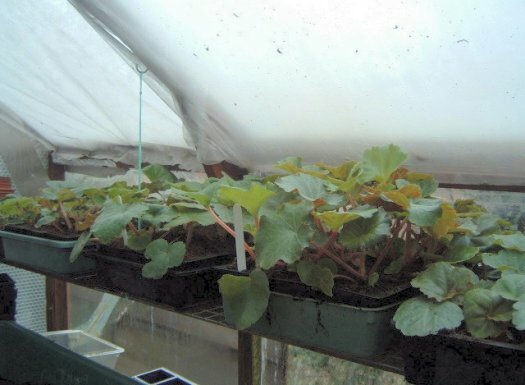 Notice that I take them from the heated benches as soon as top growth shows through and the night temperature is now only 45ºF. 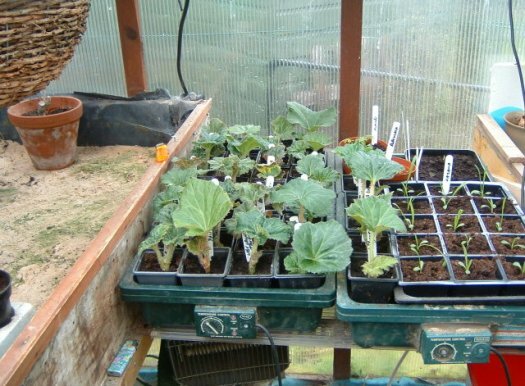 The early seedlings are now potted into 24 cell trays and are growing away nicely. You will see that they are no longer under lights, because there isn't enough room. They will be ok with the lengthening days and it gives the smaller ones left behind under lights the chance to catch up. You can also see the adult tubers have now been started in individual pots. The Secretary's page on growing for exhibition.